I'm so captivated by the new Birthday Delivery suite of products - they're just so clever (in case I haven't said that before!). 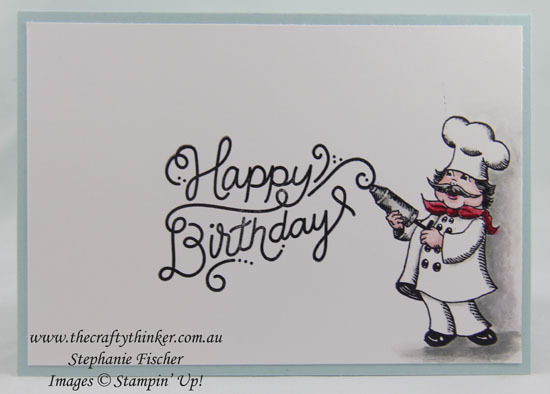 It's so versatile that only our imaginations will limit our creativity using it although, on the other hand, it makes creating a simple but effective card a breeze! There is a bundle available in this suite which offers a saving of 10%. The bundle comprises the stamp set, Designer Series Paper and matching dies. 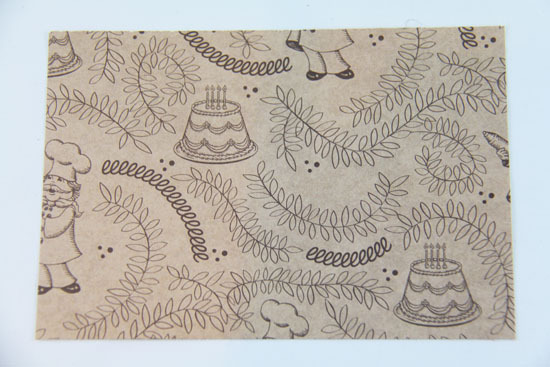 The dies coordinate with both the stamp set and the patterned paper! This card is of the simple variety. There's a base card of Soft Sky with a layer of Whisper White followed by a layer of the Birthday Memories Designer Series Paper (DSP). I then cut a strip of Soft Sky cardstock and layered it with a Whisper White strip and a length of the new Mini Chevron ribbon in Old olive. I used the scalloped edge die from the matching set and a leftover piece of Silver Foil Sheet to create the shiny scallop and glued that on top of the ribbon. 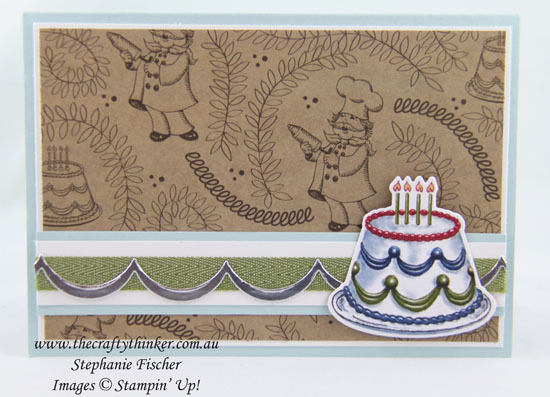 Lastly, I used one of the matching dies to cut a cake from the Birthday Memories DSP and stuck it onto the corner of the card with some Stampin Dimensional. It's entirely possible that I have a peculiar and naughty mind but my suggestion would be to cut the Sahara Sand sheet of paper very carefully - paying particular attention to any partial images at the edge of the paper. I ended up re-cutting the piece below! Take a little care when cutting this design in the pack in order to avoid any partial images that could be misinterpreted by some minds ... such as mine!